At a restaurant in the mountains of Calabria we had cherry ice cream in which the cherries were coarsely chopped. I really liked the texture, and so decided to make my own version of it. Amarena cherries are cherries from the Italian region of Emilia-Romagna that are semi-candied in a sugar syrup. 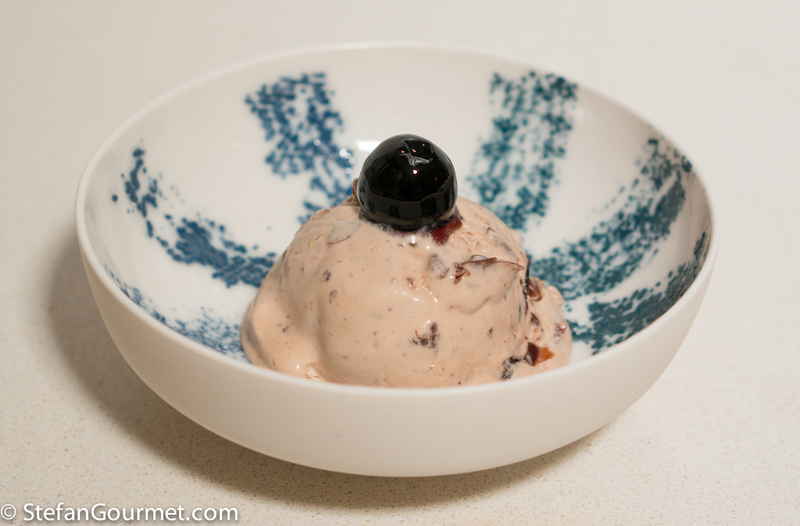 You could also make this ice cream with regular cherries in syrup from a jar, but amarena cherries have more flavor. I have discovered that adding skim milk powder to ice cream gives it a creamier texture, but if you leave it out it will still be fine. 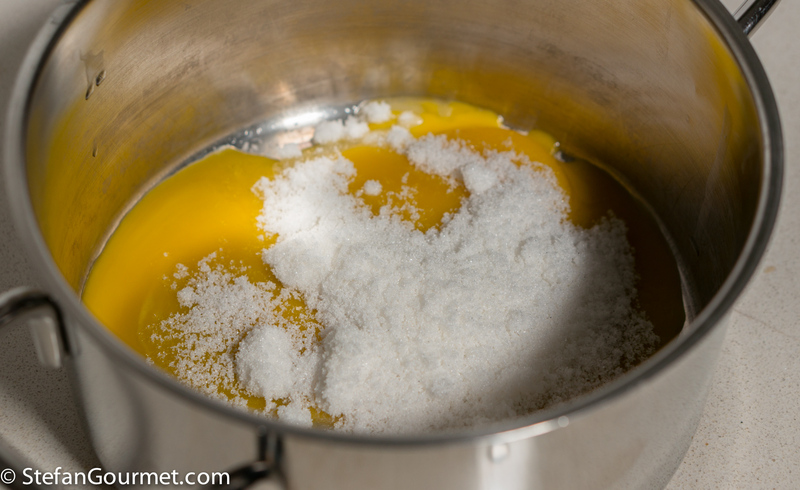 Combine the sugar and egg yolks in a saucepan, and whisk until the mixture is pale. 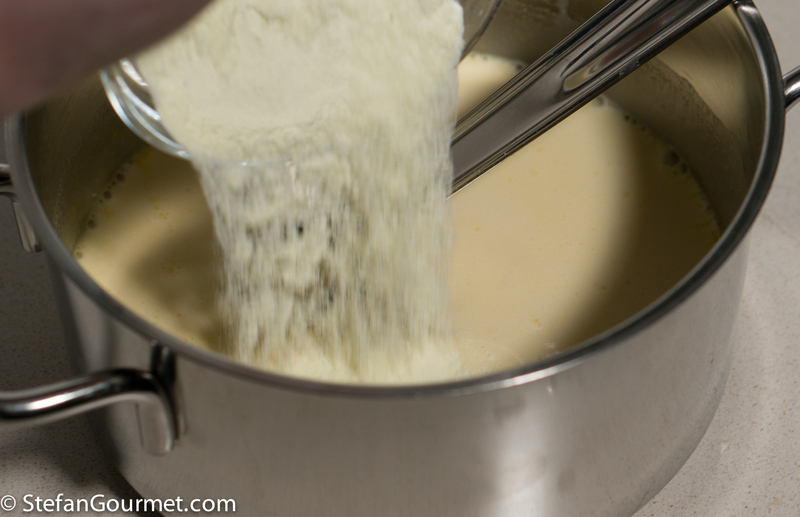 Add the cream, and whisk to incorporate. 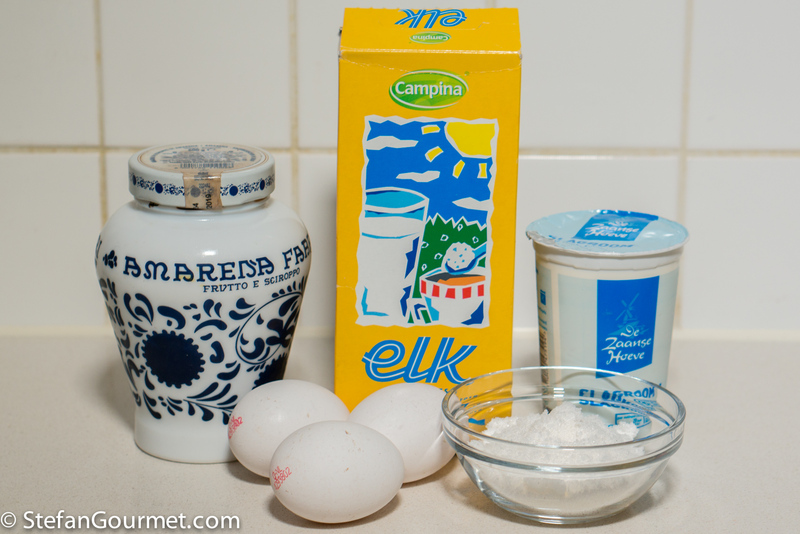 Add the milk powder, if using, and whisk to incorporate. You will need to whisk energetically to avoid lumps. 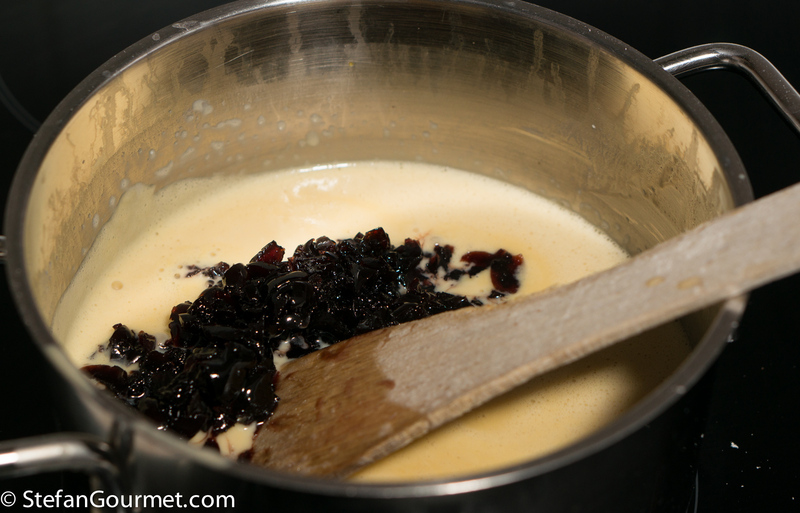 Add the cherry syrup, and whisk to incorporate. 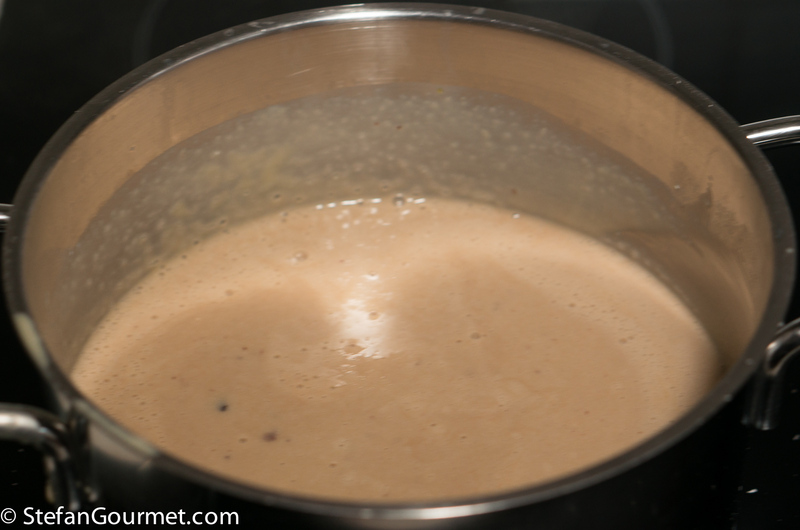 Heat this mixture to 85C/185F, stirring constantly. 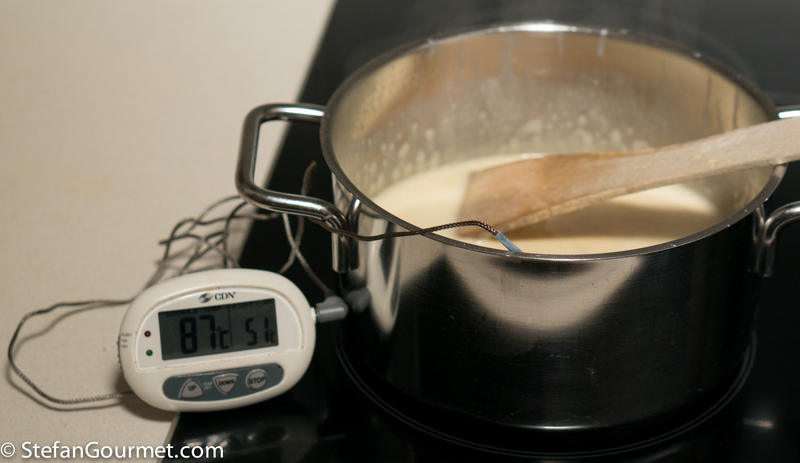 Turn off the heat as soon as the temperature has been reached, and keep stirring for a bit to avoid burning. …and stir to mix. 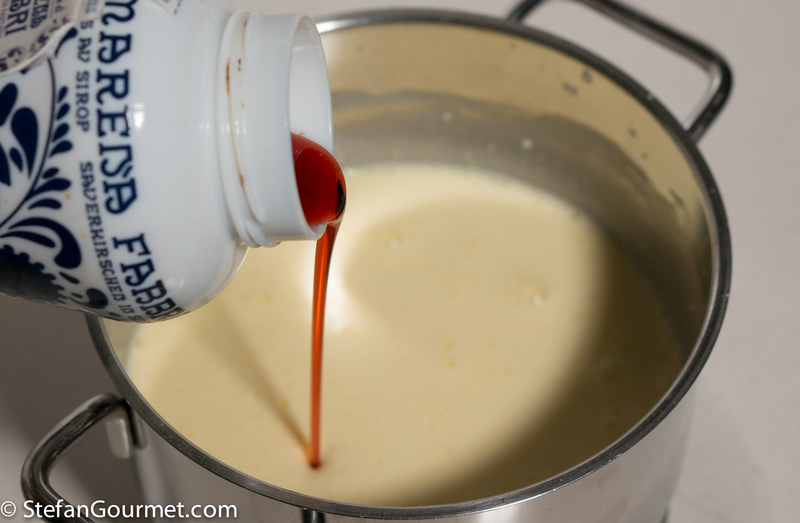 Chill this mixture (first in cold water, then in the refrigerator) until completely cold. 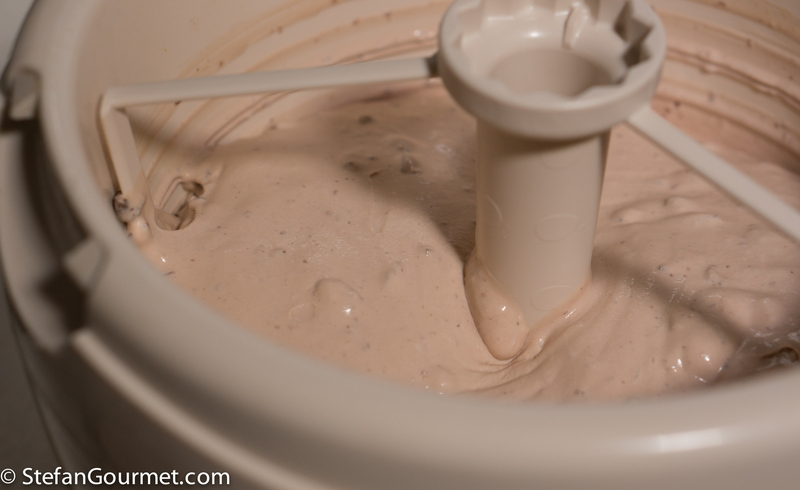 Churn it in an ice cream maker according to the manufacturer’s instructions. 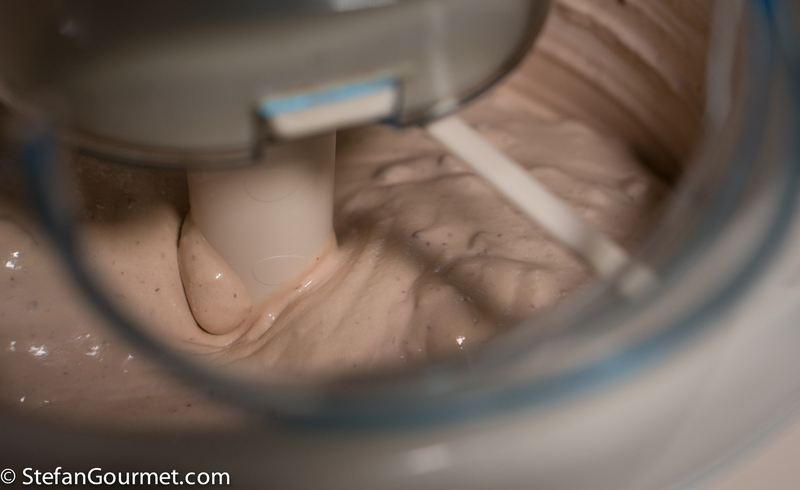 The ice cream may end up not very solid, so it is best to transfer it into a plastic container and put it in the freezer for a couple of hours. 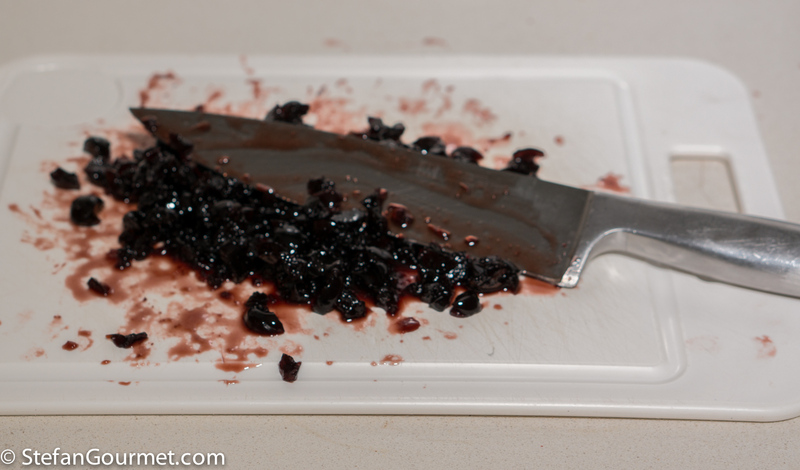 I garnished it with another amarena cherry, but something with dark chocolate or toasted almonds would also work very well. 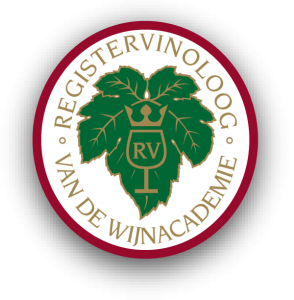 This will work with most dessert wines that are red and quite sweet, such as Banyuls, Recioto della Valpolicella, or Black Muscat. 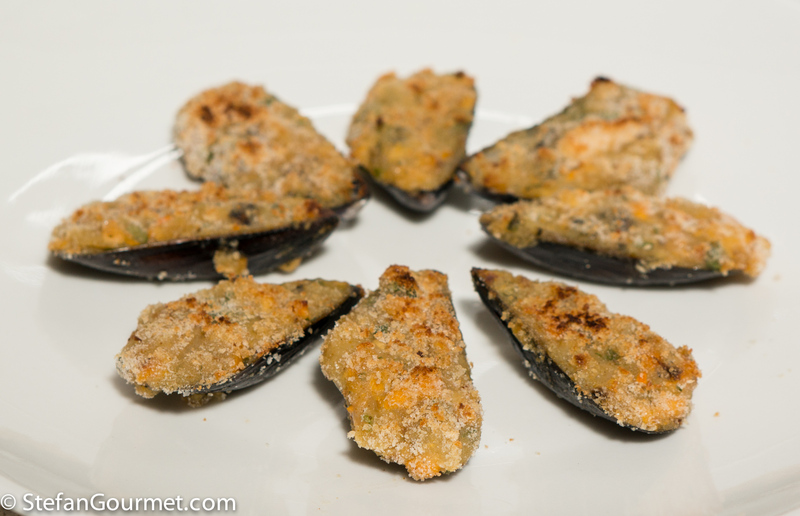 Two years ago I was cooking dishes inspired by our trip to Spain, such as these stuffed mussels (tigres or mejillones rellenos). What an elegant offering for the turn of the year! Have never had cherries in ice cream . . . perhaps it is time to try ! In my unsophisticated case perchance with no sweet wine: something I still have to learn to appreciate . . . 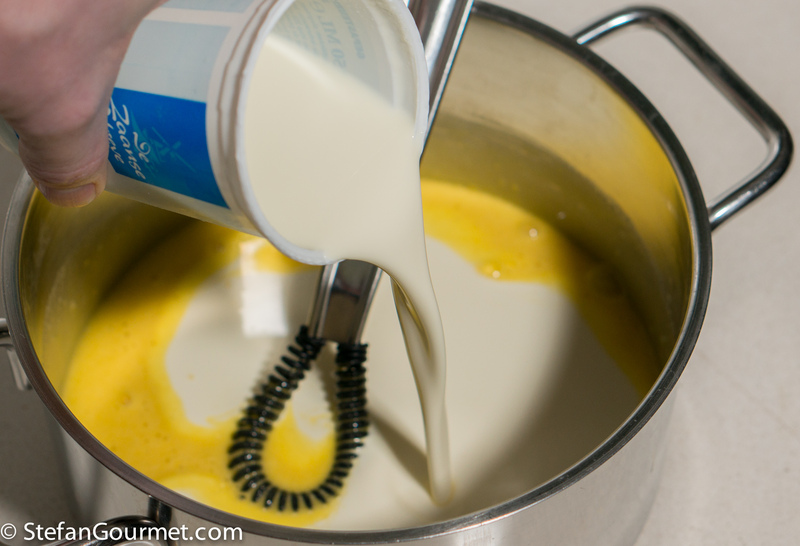 I recently discovered the same trick of adding skim milk powder, it really does make the creamiest mouthfeel. I went through a period, some years ago when I was obsessed with cherry ice cream. This recipe would have helped.